A long time ago in a galaxy far, far away... no wait. About a year ago on Ravelry I got put on the list for mystery designers - for a sock group! It seems like I never do socks anymore. In fact, having the old 2.5 mm sock needles in my hands felt downright foreign to me. But I'm doing it. I'm knitting socks again. And lucky for you, the pattern for these socks is free. 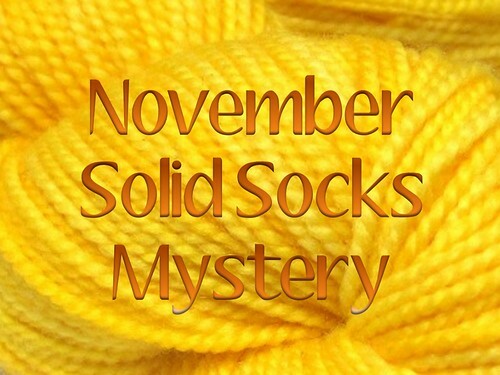 It's a mystery knit - which means you get a clue every Monday - the first clue came out on November 1st. If you join the Solid Socks Group on Ravelry they even have prize drawings for completing different solid socks. 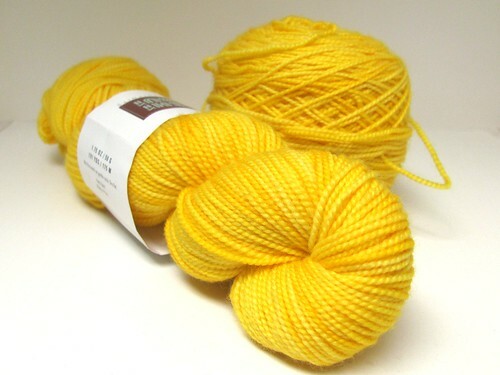 My socks are in Shibuiknits Sock in the Finch colorway - otherwise known as screaming yellow zonkers. The sock comes in two sizes - small/medium and medium/large - a 60 st cast-on or a 72 st cast-on. So you can use the yarn and needles that you want if you're familiar with how certain cast-on number fits you. So come on over and join the fun. Notes: Worked from the cuff down – offered in written & charted format. One clue will be released for the first four Mondays in November. The November Solid Socks Mystery on Ravelry – free!